Your #1 Source for Apparel, Promotional Products, Decals & More! We offer a wide range of services some of which include: In-house screen printing, in-house embroidery, promotional products, full color digital graphics-signs, stickers, banners, heat press lettering, graphic design services, business stationery. photo novelties, graduation announcements and wedding personalized keepsakes. 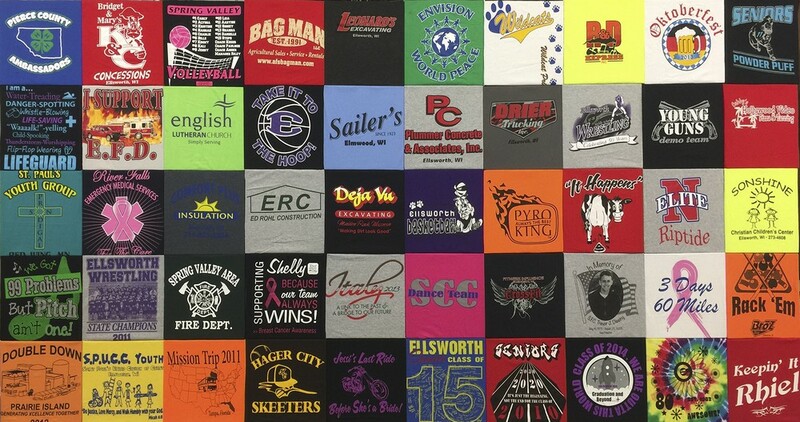 Designs by Jill specializes in custom embroidery offering all design and production in-house. Small and large quantities are our specialty. Embroidery is a high impact embellishment that can transform any garment into a statement about you. We digitize custom logos and also offer a complete source book with thousands of designs to choose from. Several different shapes and sizes can be hooped and cut. Tackle twill is available as well. Embroidery selection is endless. Designs by Jill can embroider and personalize on baby blankets, tote bags and cooler bags just to name a few. 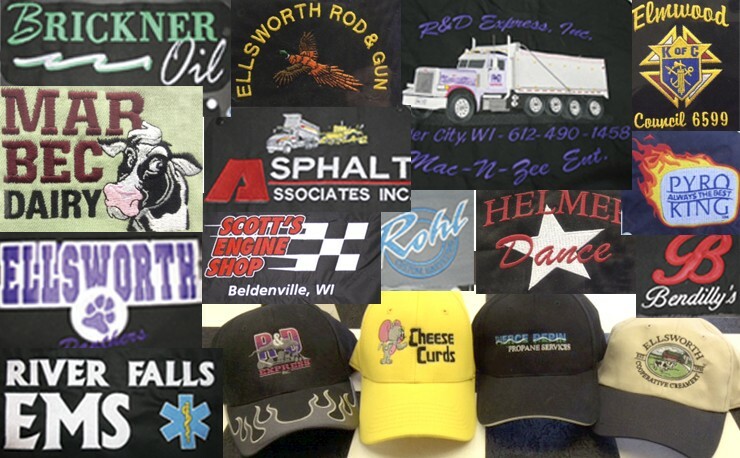 Check out our clothing section on our website or contact Designs by Jill for a free quote on your embroidery needs! 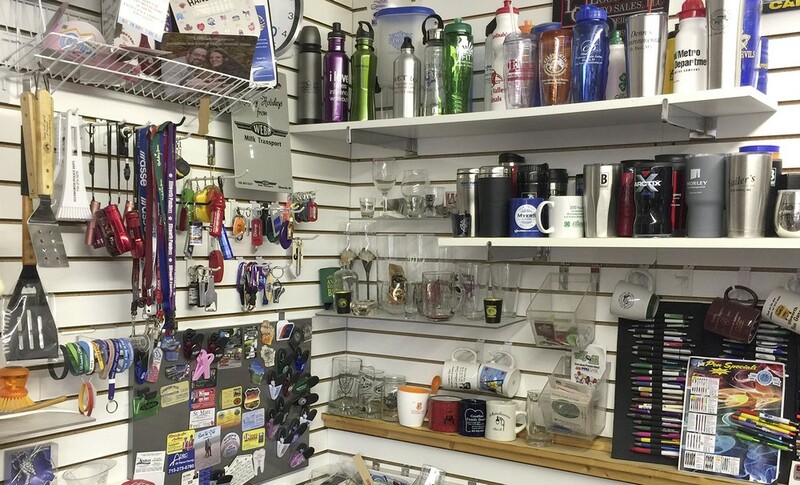 We are an authorized promotional products distributor. We offer thousands of products to choose from. You name it, we have it! Please view our catalogs section for a list of our favorite suppliers. If the product you are looking for is not shown, please call or email us, we will find it! Please keep in mind also that there are ALWAYS sales running so the prices shown may sometimes not be the best price we can give you. So PLEASE call and we'd LOVE to help you out. 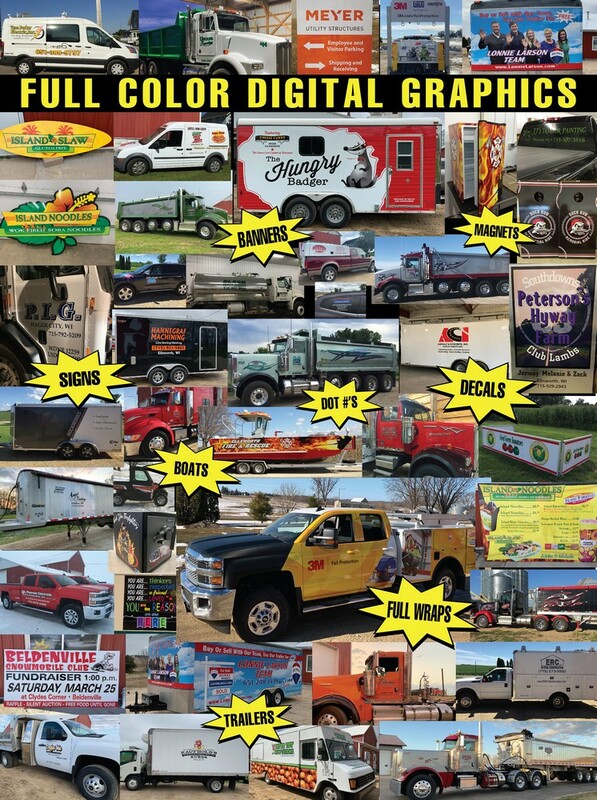 Banners, Vehicle Graphics, Stickers/Decals, Signs, Construction Site Signs, Yard Signs, Recreational Vehicle Stickers, DOT #’s and much more available! We produce high quality images to serve all of your full color digital needs. Let us help you make a statement! 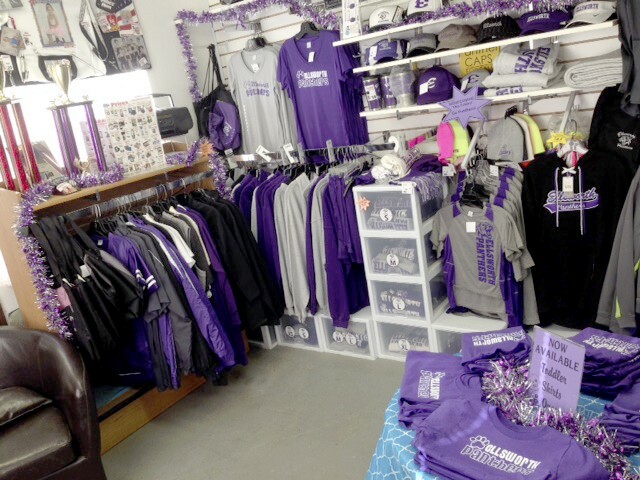 Choose from a wide selection of sweatshirts, jackets, vest, stocking caps, beanies, headbands, scarves, gloves, youth, backpacks, dufflebags & More! All items can be decorated with stock panthers & paw designs. Please call or email us for details! 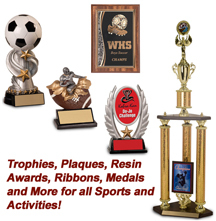 We are proud to offer many different styles of award items for you to choose from. The online showroom is broken into several categories to help you find the perfect award or gift to commemorate that special occasion. Whether it's your year-end recognition banquet or your need to find the perfect award for your MVP, You'll find all you need to recognize the achievement of your teammate, coach, sponsor or family member. Need a gift for that someone special? Designs by Jill can take a photo, use one from your digital camera or scan one from your scrapbook (if not copyrighted) and apply it to any of the following items: T-Shirts, sweatshirts, baby onesies, snowglobes, buttons, totebags, can coolers, keychains, caps, mousepads, clocks, coasters, posters, photo frames, mirrors, pens, pet bowls, coffee mugs, travel mugs and more! These items make the best gifts! Business Cards, letterheads, envelopes, greetings cards, etc.! 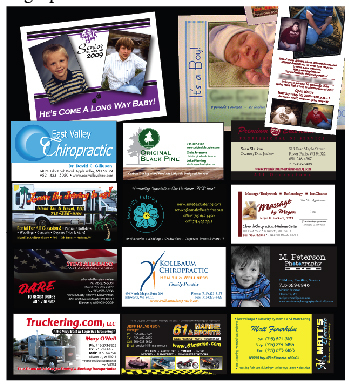 Whether it be a one color print or full color Designs by Jill offers all types of services for your business stationery. Please call for more information. 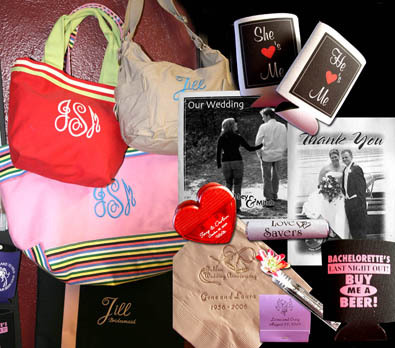 Designs by Jill offers a large variety of wedding accessories and personalized keepsakes for your wedding! We can print, engrave or embroider your gifts. 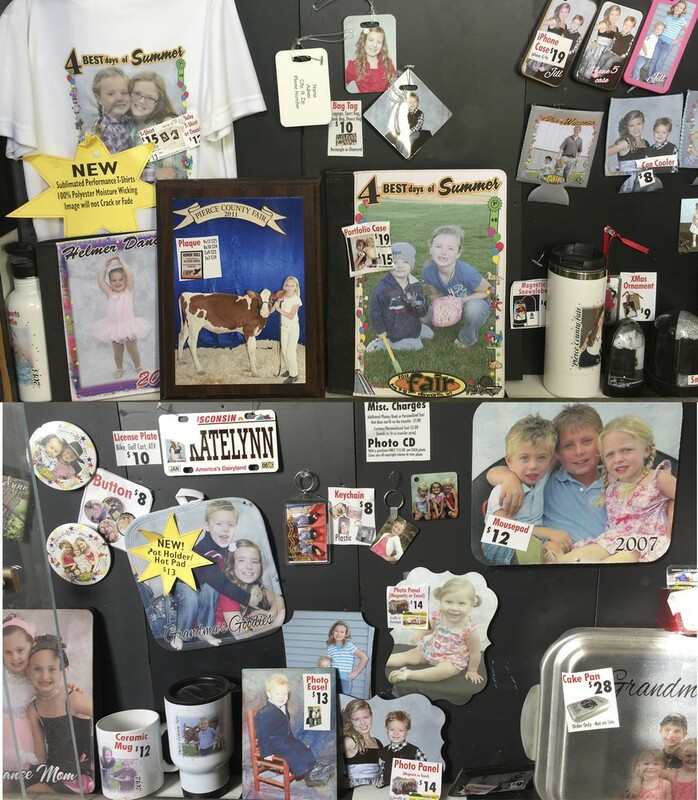 Designs by Jill offers items such as: can coolers, candy wrappers, heart shaped items, cd labels, matches, napkins, bubbles, cooler bags, tote bags and more!